Rapid Sequence Intubation (RSI) is an advanced airway procedure for critically ill or injured patients who are unconcious or unable to maintain their own airway. 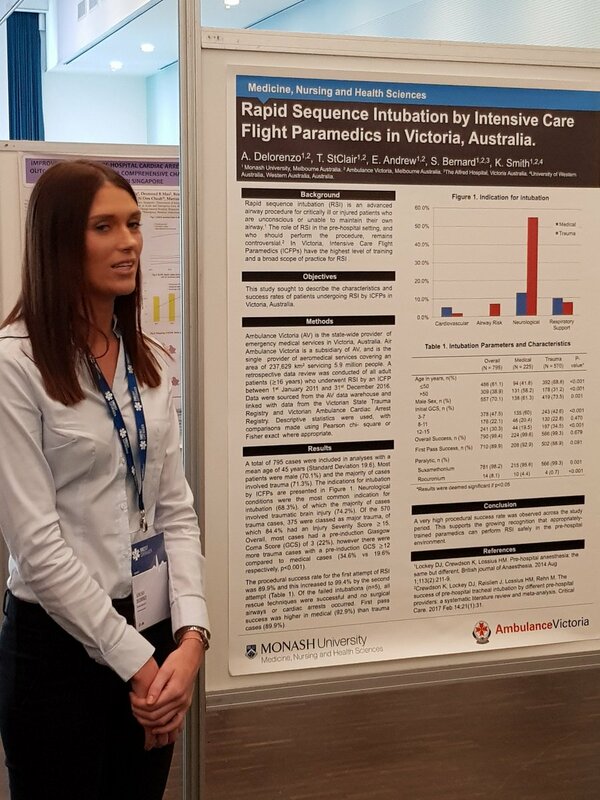 Emergency Live report here below the study of Intensive Care Flight Paramedics (ICFPs) in Victoria, Australia where overall intubation success rate is 99.4% and first pass success 89.9%. Rapid Sequence Intubation (RSI) is an advanced airway procedure for critically ill or injured patients who are unconcious or unable to maintain their own airway. The role of the RSI in the pre-hospital setting, and who should perform the procedure, remains controversial. In Victoria, Intensive Care Flight Paramedics (ICFPs) have the highest level of training and a broad scope of practice for RSI. This study sought to describe the characteristics and succes rate of patients undergoing RSI by ICFPs in Vioctoria, Australia. Ambulance-Victoria (AV) is the state-wide provider of emergency medical services covering an area of 237,632 km2 servicing 5.9 million people. A retrospective data review was conducted of all adult patients (≥16 years) who underwent RSI by ICFP between 1st January 2011 and 31st December 2016. Data were sourced from the AV data warehouse and linked with data from the Victorian State Trauma Registry and Victorian Ambulance Cardiac Registry. Descriptive statistics were used with comparison made using Pearson chi-square or Fischer exact where appropriate. A very high procedural succes rate was observed across the period. This supports the growing recognition that appropriated trained paramedics can perform RSI safely in the pre-hospital environment.